Women of color often feel deprived of choices when it comes to skin care products, including those with essential oils as ingredients. While your skin pigment/color plays an important role in caring for your skin, so does your skin type. Not only do you have to take pigment into consideration when caring for African American skin, ingredients play a large part in your approach. This applies to choosing essential oils as well. Your skin type actually plays a factor in choosing essential oils used in body care products. 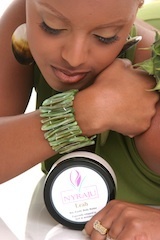 Dark skin or not, its often the fact that your dry skin can benefit from cedarwood, jasmine, rose and myrrh. For oily skin, fair or dark, use some bergamot, frankincense, orange, peppermint or lemongrass. Both, fair skin and dark skin need nutrients to stay healthy and glowing and fortunately, these plant concentrates do not distinguish between skin colors. However, if your dark skin is irritated from not using an essential oil properly, you are likely to see the results of the misuse sooner and longer than other ethnic groups. They can deliver remarkable results to dark skin just as much as they can to fair skin. In fact, essential oils are effective to both dark and fair skins not only in body care products but also in aromatherapy and stress management. So, you as a woman of color need not worry when shopping for essential oils for personal care products. What is important is choosing essential oils in products that match your skin type and condition. Got dry skin, oily skin or combination perhaps? Do you have sensitive skin or is it acne-prone? Suffering from rosacea or having clogged pores? These are the skin issues necessary to address when looking for essential oils in body products. However, note that your beautiful dark skin is unique in so many way and melanin is accountable for a lot of them. While you often think of these conditions and skin challenges as being related to your face, they are common challenges that can be seen all over your body. To help you understand better, let's take a look at challenges and conditions as well as essential oils that have been known to help ease them, especially for you as a woman of color. As you read, please know that any essential oil mentioned in this article can easily be added to a body butter or body oil. Acne problems. One disadvantage of having more melanin is that your skin is more likely to suffer from keloidal scarring. So if acne is a problem to you, scarring isn't far from happening. Tea tree oil, lavender, rosemary, bergamot, oregano, geranium, lemon, lemongrass, orange and patchouli are some of the best essential oils used in body care products that double as acne-fighters. They have natural anti-bacterial and antiseptic properties to help prevent and get rid of breakouts. Use facial care products that contain the essential oils mentioned to reduce oiliness and prevent pimples. For existing zits, dab diluted tea tree oil or oregano oil. Keep in mind that most essential oils are concentrated and not ideal to use directly on your skin. You can use carrier oils like jojoba or sweet almond oil in diluting essential oils. A word of warning: While essential oils can work their magic on fighting pimples and acne, you may have to undergo important lifestyle changes to deal with zits completely. Aside from eating healthy and getting the right amount of exercise, learn to cut the stress. You can use the same essential oils you use for your skin for aromatherapy and stress management. Lavender is actually famous for this! Brightening skin. Many people adore a kiss of color but those who have it swear that being more prone to hyperpigmentation gets in the way of enjoying their lovely skin shade. Uneven skin color, particularly in the face, hands and other more visible body parts can be upsetting especially since it may take months or even years before the effects of hyperpigmentation fade. If you need some help to even out your skin tone, you can always count on rose, jasmine, sandalwood, lavender and lemon essential oils. Mix a few drops of these oils in water and massage on face. You can also dilute these in carrier oils or mix with other ingredients to make skin care products. Care against sun damage. Now, having a bit more melanin has its advantages, too, and one of these advantages is extra defense against the sun. Signs of sun damage also show sooner in fair skin compared to darker skin tones. But of course, even with extra sun resistance, people with dark skin still need to apply sunscreen and avoid direct sun exposure like everyone else. For sun protection, choose sunscreen products with carrot seed oil and peppermint. To heal sun burns, find ones with myrrh and lavender. To turn your usual lotion into sunblock version, just add a few drops of lavender, myrrh and carrot seed oil. For easy, natural sunscreen, just mix a few drops of any of the essential oils mentioned with coconut oil or avocado oil. There are just so many recipes for homemade sunscreen products using essential oils for skin conditions and skin types for African American skin. Simply mix, match and adjust to your liking. This is actually better than buying commercial sunscreen that may have ingredients harmful to your body and the environment. 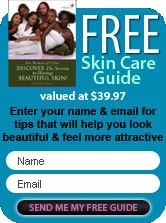 Consider the unique qualities of dark skin when planning your skin care regimen, but make your skin type and skin condition is your basis in selecting what's good for your skin. Remember, with your darker skin tones, you are more prone to scarring and hyperpigmentation, however you certainly have better protection against sun damage. With proper use and care, both fair and dark skin can benefit from the wonders of essential oils, especially in beauty and body care products.